Crown and bridge dentistry are supposed to be the fixed prosthodontic restoration procedures. This procedure is used to restore your teeth which has been fractured or has large filling. Crowns can help restore your smile if you have damaged or missing teeth. A crown may be helpful for you to chew and bite better, which may lead in positive impact on other body systems, including your digestive system. We provide different handcrafted crown styles. As per your aesthetic preferences, your budget, and facial chemistry, our dentists will help you choose the best crown. Crown is a cap or cover inserted on a tooth. It helps recover the tooth to its original size, shape, and function. A crown can strengthen your tooth and improve its overall appearance. Why You Should Get a Crown? What Crowns are made of? Crowns are made of different materials like ceramics, metal alloys, composite resin, porcelain, or all of these materials. Material is often colored to match with your existing teeth while making a crown. Your dentist should create a crown which fits well and looks natural in your mouth. The material to make a crown is decided as per your tooth location, preference, area of gum tissue, and how much tooth it shows while smiling, the shade or color of tooth, and overall functioning of tooth. A dental bridge holds your other teeth and makes it easier to perform daily activities like talking and eating. It can also maintain your teeth as lost tooth may cause the loss of the rest of teeth. At Abhinav Dental Clinic, we offer handcrafted bridges, from affordable options to cutting-edge zirconium bridges which are exclusively crafted with 3D technology. We will recommend the best dental bridge for you and our team will support you in all walks of the procedure. A bridge is actually a replacement teeth or tooth to fill the gap where several teeth or one tooth is missing. It recovers your bite and maintains the natural facial structure. 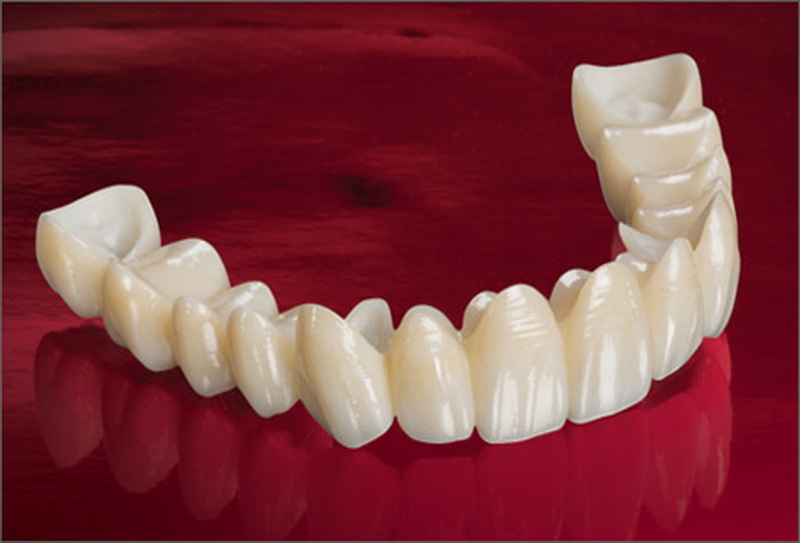 We will teach you more about the steps and advise the best type of bridge for you. Why You Should Get a Bridge? You shouldn’t take a missing tooth lightly. Teeth are growth to work together. Once a tooth is lost, the nearest teeth may drift or tilt in vacant area. Even on the opposite jaw, teeth may also shift down or up. It can affect your bite adversely and put more pressure on your jaw bones and teeth and it’s painful. Teeth which have been drifted or tipped are also difficult to clean. So, there is huge risk for gum disease and tooth decay. The bone may shrink once a tooth goes missing. It may change the jawbone structure around the cheeks and lips. Your face may look older with time.